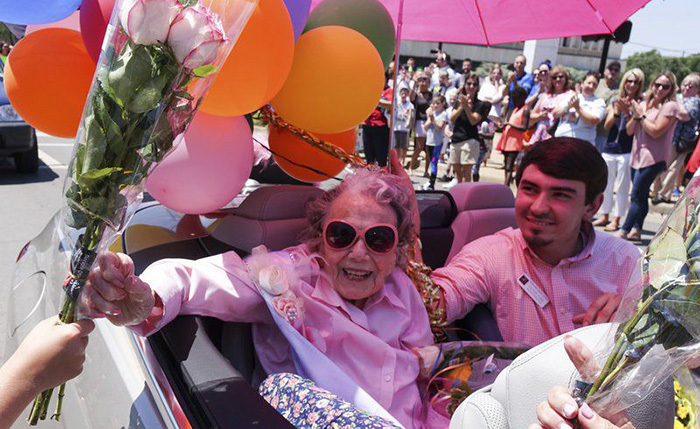 A woman in Stillwater, Oklahoma turned 107 and her only wish was to ride in a convertible during a parade. 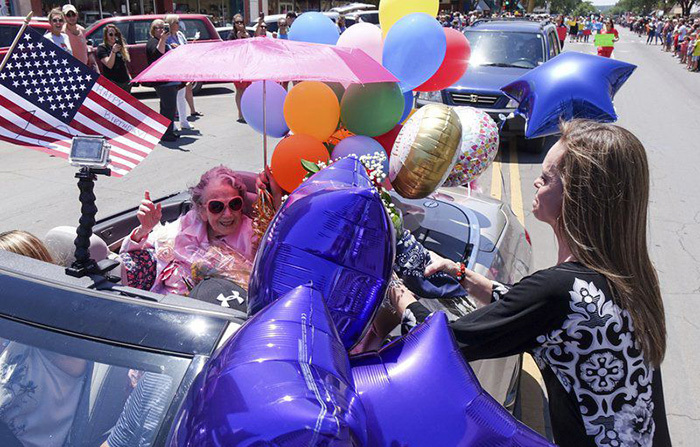 What started as a simple cruise in a convertible became a full-fledged parade along Main Street in her honor. 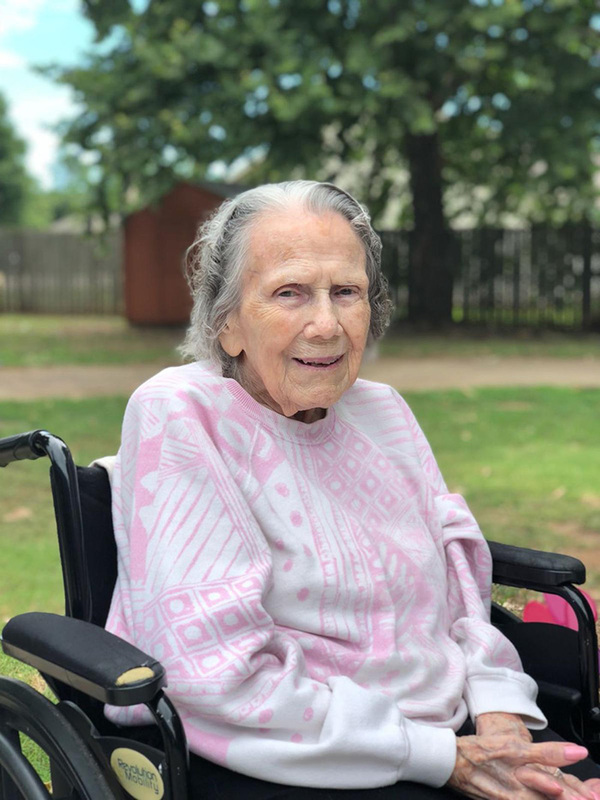 It all started when a hospice nurse asked Myda Lewis if there was anything she had always wanted to do and she said she had always wanted to ride in a parade in a convertible. The nurse called Myda’s daughter to get clearance to take her for a ride in a convertible, but that wasn’t all. Staff at Physician’s Choice Hospice and Westhaven Nursing and Rehabilitation Center started to make plans. People from Main Street businesses responded enthusiastically when Westhaven staff asked them to step out and wave to Myda as she drove by. Then someone created a Facebook event and by the next morning almost 800 people had indicated they were planning to attend. What had started as a simple cruise down Main Street in a convertible had turned into a real parade. 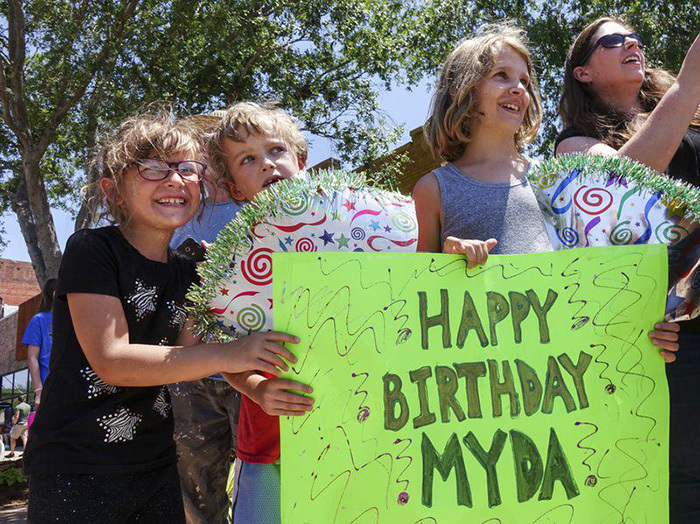 Hundreds of people lined up along Main Street yesterday to wish Myda Lewis a happy birthday. 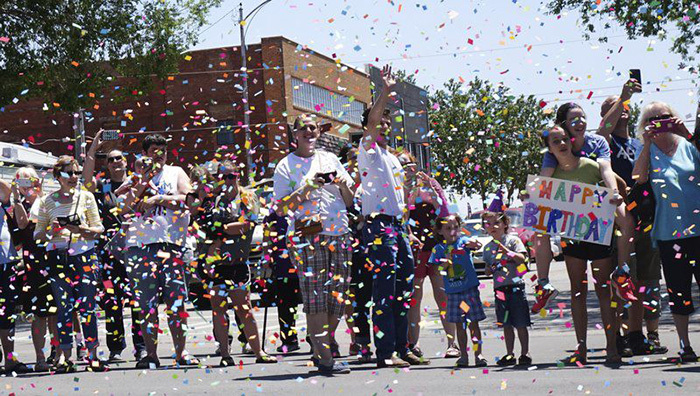 “We’re out today because what a fun thing to celebrate!” attendee Toni Ivey told Stillwater News Press. “I mean, who gets to turn 107? And if she wants to have a parade by golly, we’re going to give her a parade! Watch the Facebook Live video of the parade below, posted by meteorologist Michael Armstrong.